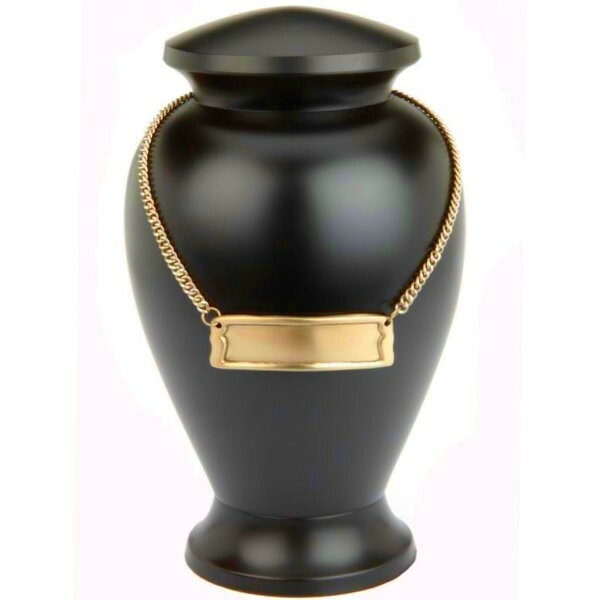 Engraving a Cremation urn can be risky as there is a real possibility of spoiling the urns finish. Our urn medallions allow the urn to be personalised without risk. They are designed to be draped around the neck of any full size cremation urn. 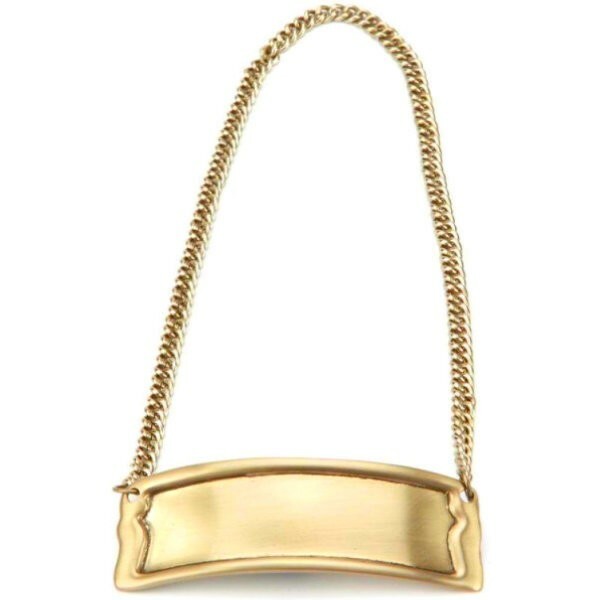 This medallion is 8½cm wide x 2¾cm high and is finished in brass, supplied with matching chain.